SmartBounce Automatic Bouncer - Ridgedale is rated 2.3 out of 5 by 3. Designed with parenthood in mind.™ The Ingenuity™ SmartBounce Automatic Bouncer™ - Ridgedale™ is a bouncer so smart - it actually adds a few extra hands-free moments to mom's busy day. 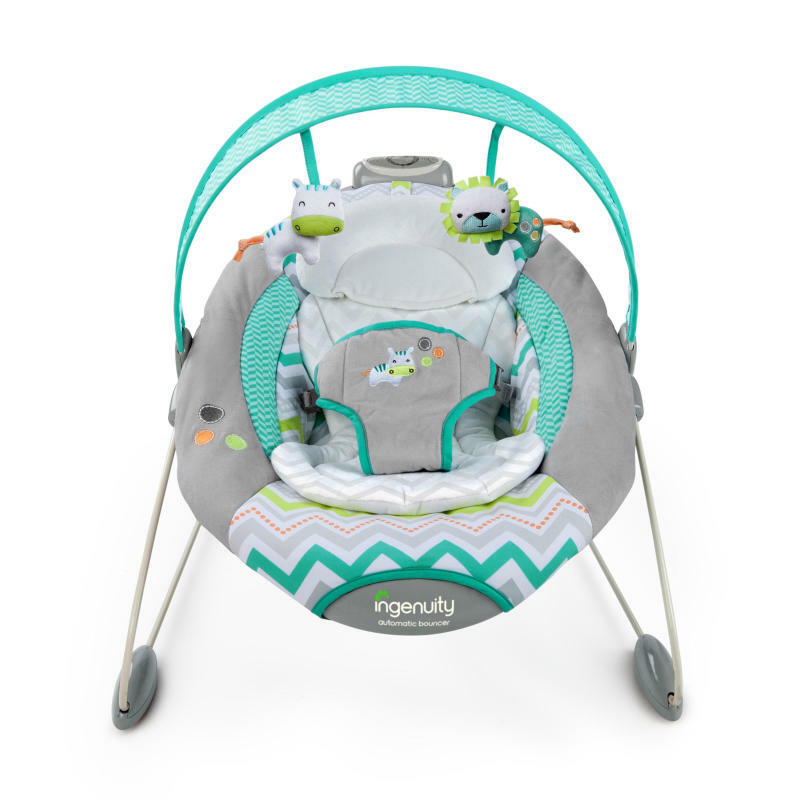 With 30 minutes of continuous automatic bouncing that mimics mom's natural motions, this 2-speed variable bouncer provides options for either a subtle or more pronounced bounce. The cradling seat features a removable head support and bolster cushion for baby's comfort. 8 melodies and 3 nature sounds along with a pivoting toy bar and 2 plush toys. Hybridrive™ technology means batteries last up to twice as long as traditional bouncers. 3-point safety harness and machine-washable seat pad. Rated 5 out of 5 by DJ Home from Love Automatic - Good Batteries works perfect. Bought this for my granddaughter love the automatic bounce. Rated 1 out of 5 by Madmommy from Waste of money If I could give no stars I would. I have had this for a month and it is awful. It doesn't vibrate and the bounce feature is so weak it's just a waste of money. $50 and I still have to bounce her by hand plus buy a vibrating pad. If I could return it I would but my husband threw away the box! !